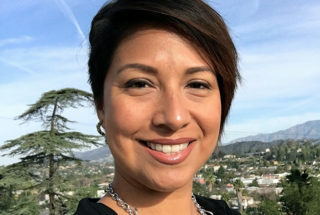 The Alliance for a Better Community (ABC), an advocacy organization committed to the advancement of the Los Angeles Latino community, congratulates Kelly Gonez and Nick Melvoin on their election to the Los Angeles Unified School District Board of Education. With a long, exhausting, and divisive campaign season now behind us, this July Los Angeles will have a new Board of Education — one that will be in place for the next three and a half years. The seven individuals that make up the LAUSD Board of Education have immense collective power to shape the future of Los Angeles public education. With this power, however, comes great responsibility and opportunity to forge a united path committed to tackling the tough issues facing the district and double down on its commitment to making college and career pathways a reality for all students. With climbing deficits, declining enrollment, and long-standing achievement gaps, there is no shortage of work ahead. There are three key areas, however, that are critical in ensuring that all students receive a quality education that the new board must prioritize and act upon with urgency and commitment. Fulfill the promise of A-G: The students of the Class of 2017 were first-graders when LAUSD made its 2006 promise to graduate every student college and career ready. Eleven years later, with less than 50 percent of graduates eligible to attend our state’s public university system, it has fallen short of that promise. The new Board of Education must work immediately to realign its graduation standards with those of our California state university system. Allowing students to graduate with a “D” significantly reduces their opportunity to attend college and engage in meaningful career pathways that, for many, can mean the difference between poverty and upward economic mobility. Only when the district’s graduation requirements reflect college eligibility for all will its goal of 100 percent graduation have true meaning and significance for our students. Tackle the deficit: Every single day that passes that the Board of Education does not address the district’s structural deficit of $11 billion (and growing) they endanger our children’s future. Ensuring fiscal solvency, along with selecting a superintendent and establishing district policy, is one of the basic responsibilities of the seven board members. The current and previous boards have shirked their responsibility on this for far too long and our children and community expect and deserve action. We also expect that actions to address the structural deficit are done so equitably and ensure our highest-needs schools and students are prioritized in the redistribution of funding. Increase equitable access to school options: As the district embarks upon the creation of its unified enrollment system, the board of education must ensure that it is building a system that successfully removes barriers for families who are determining where to send their children to school. Transparency and quality must take priority over marketing and boosting enrollment. Parents are entitled to make informed decisions about where they send their children to school, and that begins with the ability to understand their full range of public school options, including charter schools, compare school performance on key indicators such as math and English proficiency, programmatic offerings, and school climate, and apply and enroll through a simple and transparent system. The work ahead is big and cannot be achieved in a vacuum. It must be done in authentic partnership with parents, community members, labor partners, philanthropy, civic and business leaders, and education advocates. ABC stands ready and able to work alongside the new Board of Education to fight for our children’s future. We are hopeful that together we can transcend beyond the anti-charter/pro-charter narrative that is perpetuated in the media and that distracts us from the real work of creating a student-centered agenda that truly delivers a quality education to all students. Nadia Diaz Funn is the executive director of the Alliance for a Better Community (ABC), a nonprofit organization that promotes the economic prosperity of the Latino community and the Los Angeles region, inclusive of an improved quality of life for Latinos in education, health, and civic participation. She is an LAUSD graduate and worked for LAUSD in various leadership roles.